Microsoft is focusing more and more on Action Center for Windows 10 and Windows 10 Mobile. 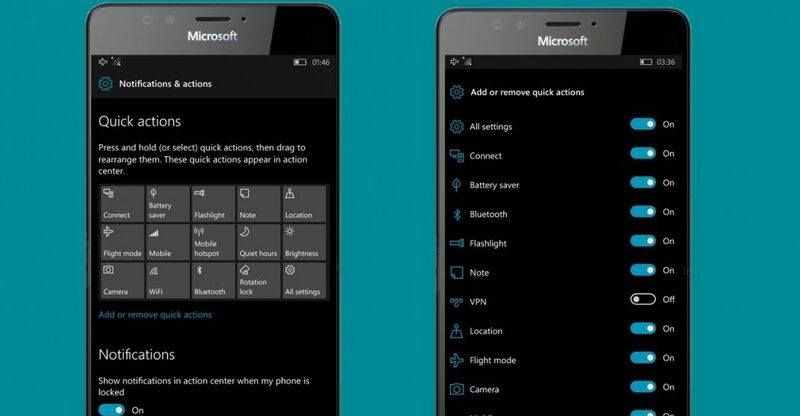 There will be the ability to customize all the Quick Actions in the action center of Windows 10 and Windows 10 Mobile. This latest feature has been introduced in the latest builds internal Redstone and through new options allows you to customize all the quick actions displayed in the notification center and not just those of the first row. In previous builds, you can not customize the elements when you expand the operations center. In addition, you can finally add and remove as required quick action by choosing from a long list. In this way, users can eliminate the quick actions that do not use and save valuable space.